Tacloban City may be now known for the tragedy that Yolanda or Typhoon Haiyan caused, but this wasn’t always the case. Like a majority of the progressive cities in the Philippines, Tacloban holds history and attractions that appeal to tourists and locals alike. Despite what happened, it remains a must-visit. David Beckham did drop by, although not to spend a holiday. So did Harry Potter actress Evanna Lynch and singer Justin Beiber. Pope Francis is also slated to visit in January 2015. Why shouldn’t you? Okay, it’s understandable that you need some convincing. Here are some of the interesting places you should visit in Tacloban. This is often mistaken as the Sto. Nino Church, and the home of Imelda Marcos, probably because it houses all of their expensive collections. But the Sto. Nino Shrine & Heritage Museum is a 2-story building that was built in honor of Sto. Nino, the city’s patron saint. The first floor features 13 guest rooms that represent the different regions in the Philippines and a chapel. 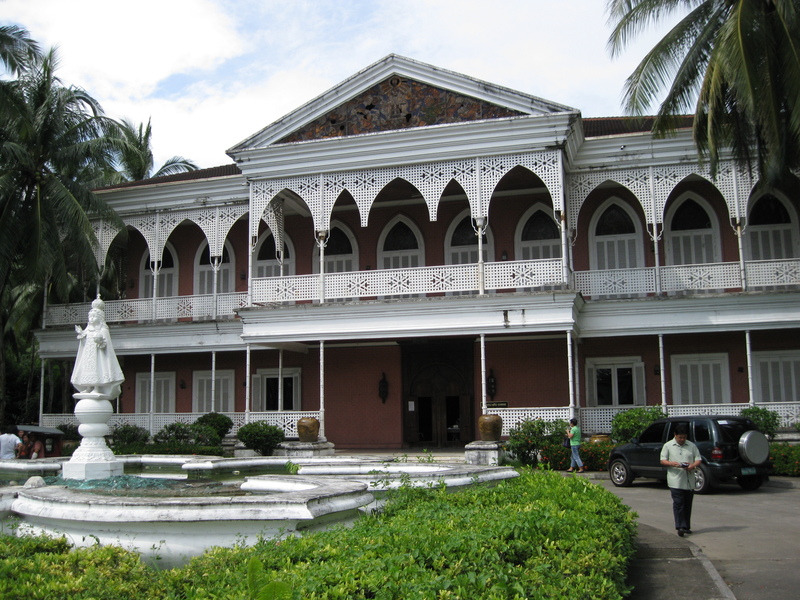 The second floor is where the ballroom, dining room, more guest rooms and the rooms of the Marcoses are found. The best time to visit and get a good look of the Marcoses’ treasures is in the morning where the entire place is still cool. The palatial structure was temporarily closed following the typhoon, but has already reopened late last year. A trip to Tacloban is never complete without visiting the landmark that is famous for the promise that General MacArthur made, “I shall return”. It marks the spot where the general landed in 1944, along with the American Liberation Forces. This only shows that he didn’t arrive at the shore of Red Beach or other beaches, what with the landmark found at the center of a park. There’s a beach nearby, however. It was in 2004, when the Douglas MacArthur Landing Memorial Park was declared a national historical landmark. 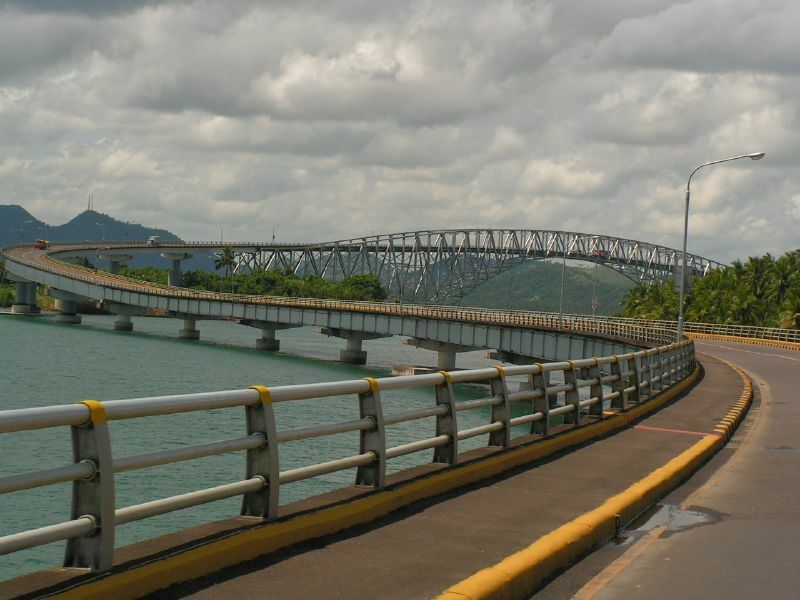 There are plenty of reasons why the San Juanico Bridge was built. But a famous one and probably a favorite among the locals is that the former Philippine president Ferdinand Marcos had it built to prove his love for the former First Lady, Imelda Marcos. A more practical reason is to facilitate faster and more convenient transportation between Samar and Leyte. Whichever is the case, its construction gave the Philippines its longest bridge. It’s funny what images the name conjure, but this memorial park has nothing to do with the famous singer. Also known as Madonna Maria Kanon, it symbolizes the friendship between the Filipinos and Japanese, which is kind of a contradiction of sorts, considering that it serves as a campground for Japanese soldiers. But the war is over and everyone’s moved on. Although the past isn’t forgotten, the Japanese have made amends and worked to establish friendship, as reflected by the Madonna of Japan. Now the CAP Building, the Price Mansion is an example of an American colonial home. It was built in 1910 by Walter Price and served as the official residence of General Douglas MacArthur during his stay in 1944. Although it still houses a memorabilia of the great general, the Price Mansion is a far cry from its past structure. There are plenty of other attractions to see in Tacloban City. So make sure you allocate a lot of time to explore all of them. Following Yolanda, it’s the perfect time to visit in support of the city’s recovering tourism industry.